The Story: This is a Venom origin story that has nothing to do with Spider-Man. Ruben Fleischer's first feature film was Zombieland so I will always give him props for creating a genre classic but that doesn't necessarily mean he earns a free pass for anything else he does. Taking on such a high profile and beloved property like Venom is no easy task by any means as, when it comes to critics, fanboys, and casual movie goers, there is a built in expectation to get it right or else. The look and feel of Venom is exactly what you hope for as the symbiote's appearance and movements seems to have jumped right off the Marvel comic pages he originated from. Speaking of Venom's origin, I will give a free pass here because, to tell the original story properly, it would need to involve the entire roster of heroes and villains that participated in the 1980's classic Secret Wars limited series and would even more directly tie into Spider-Man's prolific history. Since there's no way Sony could ever make that happen, they decided to create a sort of "Venomverse" that is separate from the Marvel cinematic universe yet draws characters and situations from that alternate world. If it works, they will have a very interesting roster of anti heroes to play with like Carnage and Kraven the Hunter. Tom Hardy is a really good actor. He is also very likable in just about everything he does and this movie is no exception. 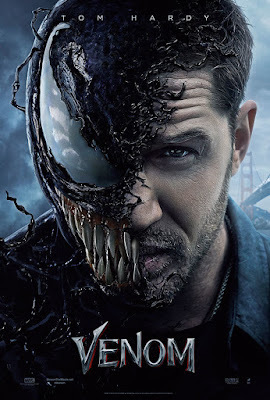 The best and most entertaining aspect of the movie is his interaction as down on his luck reporter Eddie Brock with the alien symbiote who is communicating with him from inside his own head. This also leads to some really funny moments that Hardy takes full advantage of and shows just how versatile he is and why he was the perfect choice to play this character. 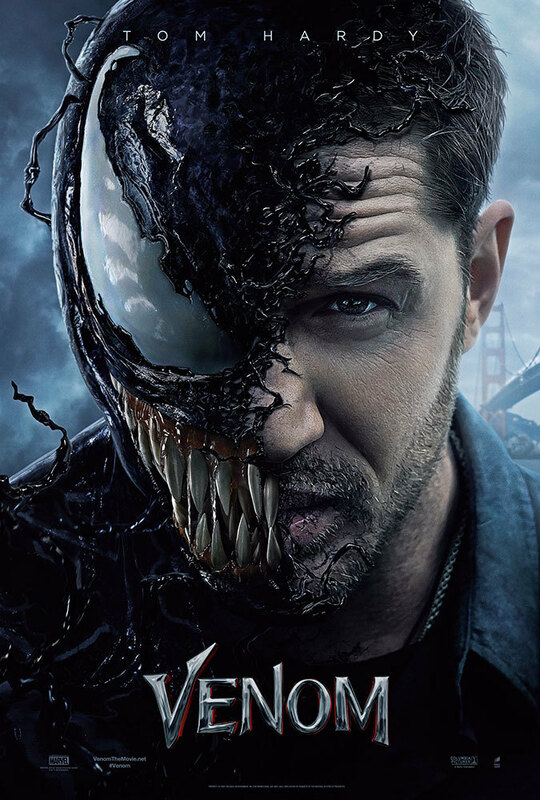 In case you didn't know, Hardy also supplies the voice for Venom although some really smart tech people do the work on modifying his vocals so they sound like what we all think a deranged alien symbiote might sound like. Michelle Williams checks in as the love of Eddie's life and she is her usual amazing self even though her character is a bit underwritten. 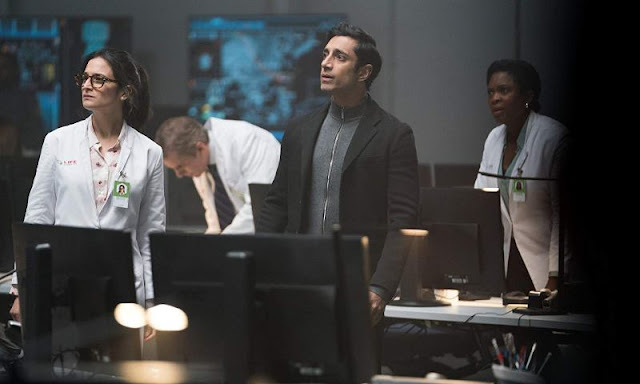 Playing the bad guy is Riz Ahmed, most well known as the pilot in Rogue One, and he has the unfortunate task of playing about as basic and generic of a bad guy s anyone could have come up with. Fortunately he has Jenny Slate by his side for most of the movie and she really saves the day by putting so much personality into a character that also suffers from a lack of depth and originality. While the interactions between Eddie and Venom are the life of the movie, it really stumbles when it comes to the overall story and the quality of the action. The story, as an origin for the character feels so unoriginal and bland that it becomes very predictable and offers no real tension because you've already figured out what's going to happen half way through the movie. There's also a high speed chase scene through downtown San Francisco involving Eddie/Venom on a motorcycle being hunted by drones that just doesn't supply the thrills or intense action we expect from today's cinema and the big finale also falls well short of what you might hope for from a big time comic book movie. Venom falls well short of expectations due to a lack of originality but is still worth watching because Tom Hardy is amazing as always. It will be interesting to see if Sony is able to build off of this one to get their Venomverse off the ground. Make sure to stay all the way to the end because there are two post credit scenes.